#DardKiTsunami! Khatro Ke Khiladi 7 Episode 27th February 2016 Participants Performing Dangerous Stunts :- In the reality television shows “Khatro Ke Khiladi – Fear Factor” last week the television actor Vivian Dsena makes a grand entry with bang. Since his entry the TV actor is receiving huge hype and buzz. Vivian Dsena, the actor is literally known for his charm and looks and for his acting in “Madhubala – Ek Ishq Ek Junoon”. Now he is all set to perform dangerous stunts in the seventh season of “Khatron Ke Khiladi “. He has entered in this stunt based reality show as a wild card contestant. Vivian played all kinds of roles from the supernatural to romantic indeed now he is ready to showcase his real quality as a person rather than an actor and he is here in the show to depict his worth. Regarding doing the show Vivian speaks to the media that, “From in-air to water-based, we will be doing different types of stunts. The fans should expect a vast array of challenges from the show”. When the media asked him what is his biggest fear is. Vivian replied that, “Stunts are my forte. I have always done my own stunts and have never used a body double for any show. Also, when it comes to competition, for me, everyone is just a contestant and nothing more. I believe that I am my own competition. Since this show is unlike others I have participated in, I would like to challenge my own capabilities to see where I stand”. From his school days the television hunk is fan of stunt, sports and all that. So he is excited to be part of the show “Fear Factor” and regarding joining the show, Vivian said to the media that, “I am not into exercising regularly but have gained some agility through football. I think that it will surely be utilised. However, this is the kind of show where nobody has an upper hand. Instead it is more of a blend of physical as well as mental strength and the ability to take decisions on the spur of the moment”. Tonight the participants’ needs to perform a special task called “Dard Ki Tsunami” in this segment they need to face some scary stuff which actually gives them spine-chilling experiences and it will be breathtaking for the audiences also. So don’t forget to catch “Khatro Ke Khiladi” tonight at 9:00 PM only on the Colors TV! 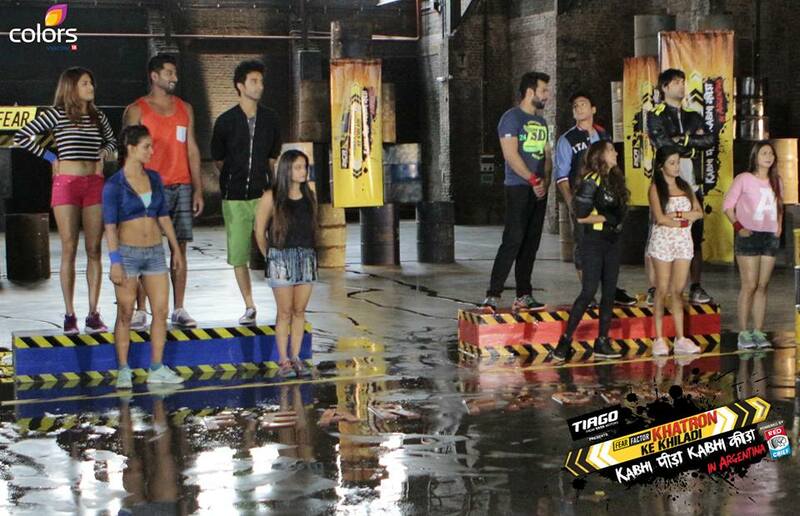 So be ready to face this #DardKiTsunami at the #FearFactor….